DMK – DANNE MONTAGUE KING , is the leader of the paramedical skin revision market as it utilises a concept that can offer profound long term results. The DMK brand embraces professional paramedical products and treatment protocols, however the calibre of DMK is best expressed through the results that it delivers. DMK is the brain child of the conceptually thinking scientist Danné Montague King and is designed to manage the skin systematically with scientific botanic formulas. Danné was among the first scientists to recognise the power of enzymes to hydrolyze the skin; the first to alert Europe and Asia to the professional use of Alpha Hydroxy Acids; and the first to develop a skin rejuvenation system that understood the importance of offering skin cells a chemistry they recognise – an approach that has gained worldwide acclaim for its ability to match an individual’s biochemistry with the appropriate skin therapy. His research with Vitamin C therapy, both as an age retardant and collagen enhancer, spans three decades.A tireless educator, Danné Montague King has worked with many of the world’s premier physicians and surgeons to elevate the standards of skin therapy. A leading Beverly Hills Botanical Scientist/Cosmetic Chemist/Skin Specialist, his state-of-the-art research has been editorialised in numerous newspapers, magazines and journals worldwide. Danné Montague King is a world-wide leader in the field of skin rejuvenation. Danné claims that the origin of any skin condition is disharmony in the natural way the skin functions. Therefore the Danné concept is simply about restoring balance and enhancing optimal skin function. Regardless of your ethnic background, gender, age or skin condition, Danné Montague-King offers you an effective skin revision program. With over 40 years of irrefutable results in 30 different countries around the world there is no denying the impact that Danné has had in the paramedical arena. Danné was among the first scientists to recognise the power of enzymes to hydrolyze the skin; the first to alert Europe and Asia to the professional use of Alpha Hydroxy Acids; and the first to develop a skin rejuvenation system that understood the importance of offering skin cells a chemistry they recognise – an approach that has gained worldwide acclaim for its ability to match an individual’s biochemistry with the appropriate skin therapy. His research with vitamin C therapy, both as an age retardant and collagen enhancer, spans three decades.A tireless educator, Danné Montague King has worked with Scientist/Cosmetic Chemist/Skin Specialist, his state-of-the-art research has been editorialised in numerous newspapers, magazines and journals worldwide. A variety of medicines are available to fight the condition, but as is the case with many dermatological afflictions, the underlying causes are not dealt with. The majority of acne treatments are simply topical solutions that alleviate acne symptoms through a process of excessive drying out of the skin to reduce facial oiliness and clogging. This approach only addresses the symptoms that are visible on the surface of the skin but not the underlying causes of acne. 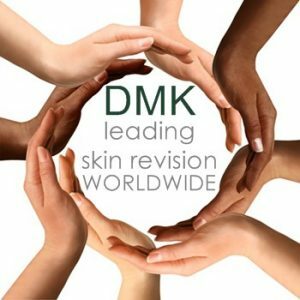 As with all DMK products and treatments, our approach is based on scientific principles and an advanced and accurate understanding of how the skin functions naturally. It is the reason why DMK consistently gets amazing results. Quite simply, DMK ADDRESSES THE CAUSE AND THE CONDITION. The fact that the new DMK acne range does this in such a fundamental, natural way, in itself is a drug-free miracle! DMK KLEAR’s Advanced Formulation Exceeds Anything Else! DMK KLEAR, a new and exclusive formulation moves way beyond conventional acne ingredients for an effective, non-irritating and elegant scientific treatment combination. The DMK KLEAR acne range contains no harsh peroxides that dry the skin. Instead. It uses highly effective yet gentle germicides, combined with agents that both suppress sebum and help to cleanse the pores of compacted sebum and debris. ACU THERM is a petrolatum-free gel that softens blind pimples and congested acne eliminating the need to squeeze. It works by heating up pustules, papules and pimples and hydrolyses the hardened sebum wax and bacteria trapped in pores. It is the ultimate deep pore cleansing tool. ACU THERM also contains ingredients, high in enzymes that release hormones into the blood stream to regulate functions like metabolism and mood. It is also rich in vitamins that are essential in the fight against free radicals that cause stress and illness. The KLEAR range is suitable for all skin types and is sold for home use without prescription. 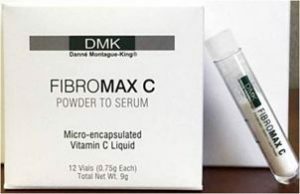 FIBROMAX C is a highly powerful anti-aging formula that contains a high concentration of pure Vitamin C.
FIBROMAX C is an amazing product produced in a liquid powder form and designed to be used topically on fine lines, pigmentation, firming or lifting is needed in a particular area. Its incredible ability to reduce the effects of aging is unsurpassed by anything else available. Liquid Powder is neither liquid, nor powder. It is a very fine, dry, free-flowing powder that is predominantly liquid. It is one of the latest advances in skincare technology. The powerful liquid powder formula ensures that Vitamin C in its purest form penetrates the skin and is delivered right down to your skin cells where it stimulates fibroblast cell activity to keep you looking young. We can’t stop time, nor can we reverse it, but TransGenesis creme can make your skin look and feel like we can. When we think of healthy and youthful skin, terms that come to mind are: smooth, soft, supple, plump and radiant. Unfortunately as your body begins to age, your biological skin functions slow or become abnormal leaving you with wrinkled, dry, thin and dull looking skin. TransGenesis creme is packed with ingredients that will kick start your skin, helping it to function like it did years ago, transcending time and giving you a new beginning. 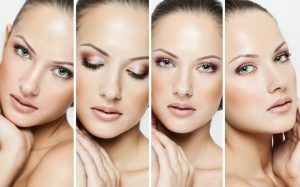 How will TransGenesis improve your skin? Red Caviar Enzymes from the cold fiords of Norway deliver smoother, more refined texture as they gently exfoliate and renew skin cells. Glycosaminoglycans pulls and locks water into the surface layers of your skin, reducing fine lines and giving you plumper, fuller looking skin. Tripeptides and Oligopeptides provide double the peptide action, stimulating fibroblast cells and collagen production to give you firmer, tighter looking skin. Filligrin Modulators helps restore skin barrier functions reducing TEWL (trans-dermal water loss) and reactive Skin Irritation. Amino Acids, Essential Fatty Acids, Proteins and Nutrients are supplied for needed cell development and to keep your skin healthier, looking younger. Improved NMF (natural moisturising factor) critical for a healthy acid mantle for surface moisture that gives your skin that fresh dew drenched look. Natural anti-inflammatory and immune boosting agents work to keep your younger cells alive longer. 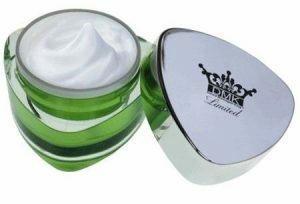 PLEASE GO TO OUR RETAIL PRODUCT PAGE TO VIEW THE DMK RANGE AVAILABLE IN STORE.